Last week I came across a piece on The Social Work Blog on the Community Care website written by Andy McNicoll and entitled ‘A survival guide to practising ethical social work in a time of austerity’ (http://communitycare.rbiblogs.co.uk/social-work-blog/2013/06/a-survival-guide-to-practising-ethical-social-work-in-a-time-of-austerity). The piece in question is based on a presentation that Colin Turbett, a social worker and activist, gave at a meeting of Unison Scotland members to discuss ethical social work practice. Colin Turbett claims that ‘Social workers must seek out and exploit opportunities for radical, ethical social work in a climate of austerity’. ‘Radical social work’, continues Turbett, ‘challenges the narrow prescribed forms of practice driven by managerialism and its attempts to enforce neoliberal ideas and acceptance of austerity as if it was a natural event’. In his Social Work Blog, Andy McNicoll, drawing on Turbett, goes on to formulate a survival guide that shows how radical, ethical social work might be practiced. It seems to me that Andy McNicoll’s survival guide to practising ethical social work in a time of austerity is very relevant to living ethically in general in such a time. 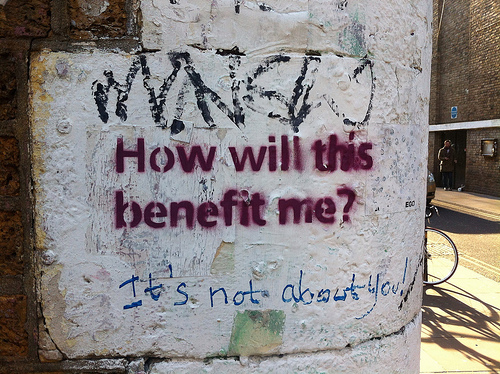 Most of- if not all – the survival strategies in McNicoll’s guide that apply to ethical social work in austerity times arguably are likely to apply to ethical living as a whole in such times. 10. 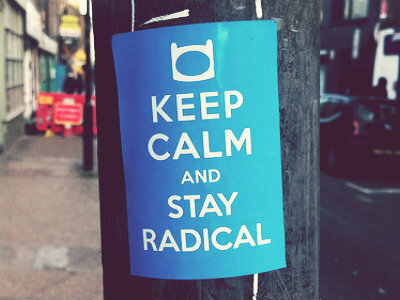 In a nutshell…KEEP CALM AND STAY RADICAL.